BIDDING for provinces to host the 9th PNG Games in 2022 is now open. The chairman of the PNG Games Council and executive director of PNG Sports Foundation Peter Tsiamalili invites provinces to forward expressions of interest (EOI) to his office no later than Sept 30, 2017. This will be followed by presentations by bidding provinces in Oct at a council meeting where the successful bidder will be selected and announced. Interested provinces are to contact the council secretary Nancy Kemp as soon as possible to pick up the bid application documents. 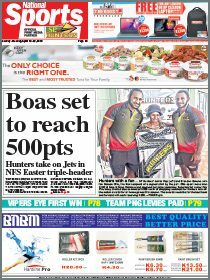 Kemp can be contacted via phone on 3251991/ 72921971 or email: [email protected] Tsiamalili assures all provinces that preparation for the 7th PNG Games is on target and will be staged from Nov 18 to Dec 2, 2017 in Kimbe, West New Britain. The council encourages all provinces to gear up as the expectations from the nation’s youth are already high as there are 78 days to the opening ceremony. The accreditation report to date has registered over 9,000 Games participants from 22 provinces. The highlight of the closing ceremony will feature the 2018 Commonwealth Games baton relay where millions of TV viewers across the world will witness the PNG National Games. The Commonwealth Games will be hosted by the Gold Coast, Australia. 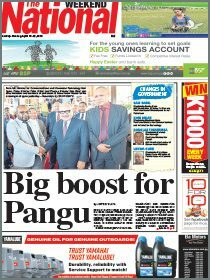 Southern Highlands, the host of the 8th PNG Games in 2019, will be given the PNG Games flag at the closing ceremony in Kimbe. The organising committee in Mendi has already accomplished stage one of the preparations and is expected to provide a progressive report at the Oct council meeting, confirming the number of sports that will be contestedand games venues.